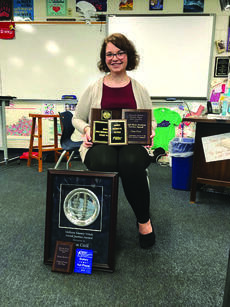 Not only is Elena Cecil living her family’s legacy of speech and service, the 17-year-old LaRue County High School senior is winning awards for both. A lot of awards. Major awards. So many, in fact, that she could fill a trophy case. 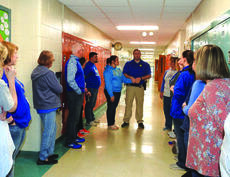 The loud bangs of gunshots echoed through the halls of LaRue County Middle School April 20 as Kentucky State Police provided active shooter training for the school’s faculty and staff. An $8,600 grant will provide students from LaRue County Schools who rely on wheelchairs easier access to field trips, other school activities and even job opportunities. 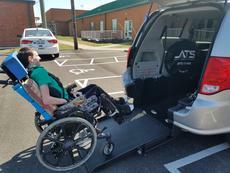 A 2011 Dodge Caravan owned by the district was retrofitted in February to make it wheelchair accessible at a cost of $8,680. 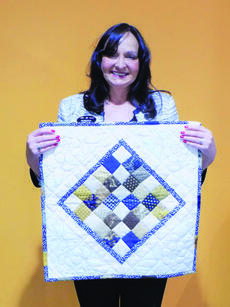 The money was provided by the WHAS Crusade for Children, which raises funds for agencies, schools and hospitals to better the lives of special needs children. Since the arrival of video games, many young people are growing up without enjoying the fun of sitting across a table from an opponent, contemplating their strategy while playing on actual boards. 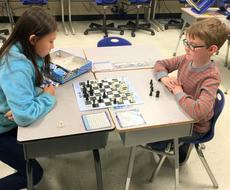 The students in the chess club at Abraham Lincoln Elementary School, however, are competing the old fashioned way, learning the rules of the game as they challenge fellow club members. The WKU Forensics Team placed second at the American Forensic Association National Individual Events Tournament championship, hosted April 6-9 by Colorado College in Colorado Springs. 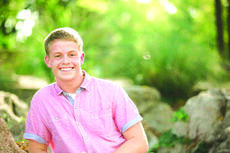 The Hodgenville Rotary Club is currently accepting scholarship applications for the club’s James D LaRue, Jr. Scholarship. The deadline is April 26, 2018. The LaRue County Board of Education reviewed several personnel changes at their April meeting. The 4-H Cooking Club will meet from 3:30 to 5 p.m. on Monday, April 16 at the LaRue County Extension Office. The 4-H Canoe & Kayak Club will meet at 6:30 p.m. on Tuesday, April 17 at the Extension Office.